Id-dettalji aktar tard. L-importanti li żżommu d-data. Between the 18th and the 23rd of January Clare Azzopardi will be taking part in the Jaipur Literature Festival. 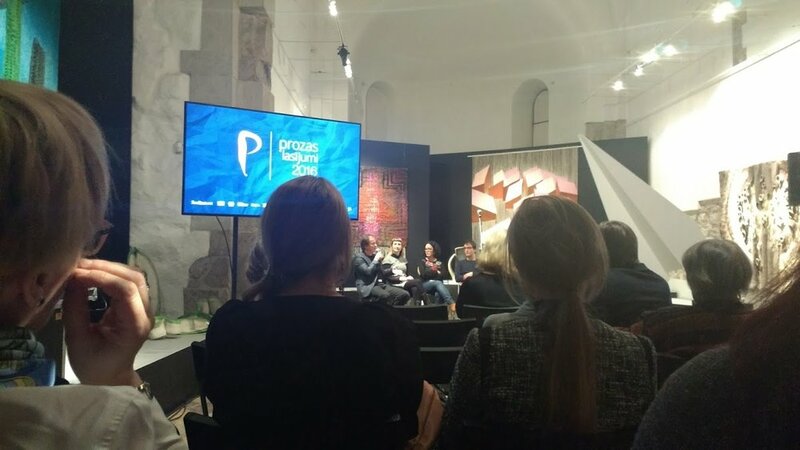 Between the 9th and the 11th of December Clare Azzopardi took part in the Latvian Prose Festival in Riga. She was interviewed together with Slovenian writer Jasmin B. Frelih and talked about creative writing to students. She also gave a reading from Frape, her book for young adults, which will be published in Latvian later this year. The translation of Frape was made by Janis Elsbergs. Click here for Clare's latest insights on 2016! Next weekend will be nothing short of cold. Clare Azzopardi will be taking part in Latvian Literature Festival "Prozas lasījumi." The name of the Festival that will be held in Riga translates to "Prose readings." In fact, it is a multi-day festival dedicated specifically to prose. The first edition was held in 1995 and currently it is being organised by the Latvian Literature Center. This year the Festival will take place between the 9th and 11th of December. Clare will be participating in a discussion with the students of the Literary Academy on the 10th of December. On that day she will also be part of the International Guest Night together with Jasmin B. Frelih (Slovenia), Kjell Westo (Finland), and Emmi Itaranta (Finland). Fil-jiem li ġejjin, ktieb ġdid għat-tfal ma' Matt Stroud u l-Merlin Publishers. Castillo magħmul bl-idejn minn Kotba Calleja f'edizzjoni limitata ta' 40 ktieb biss.